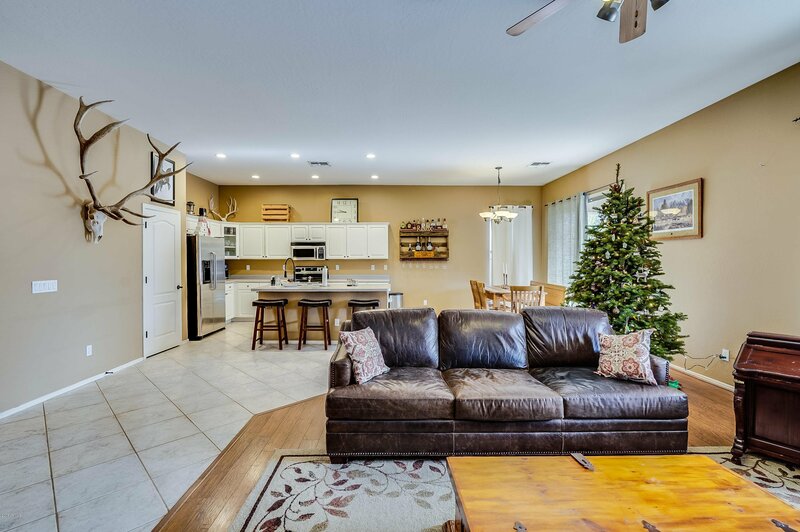 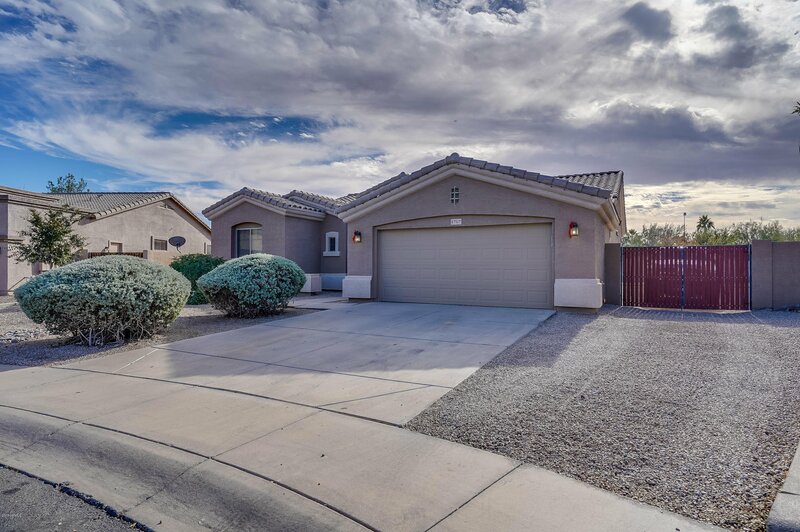 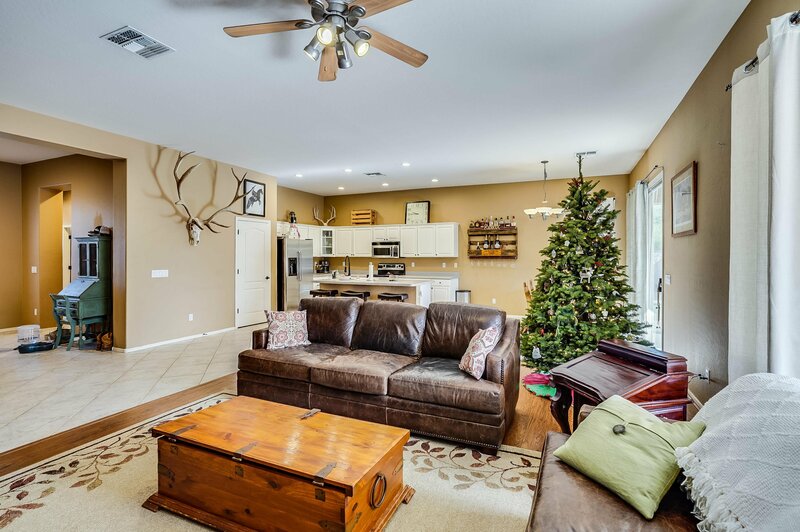 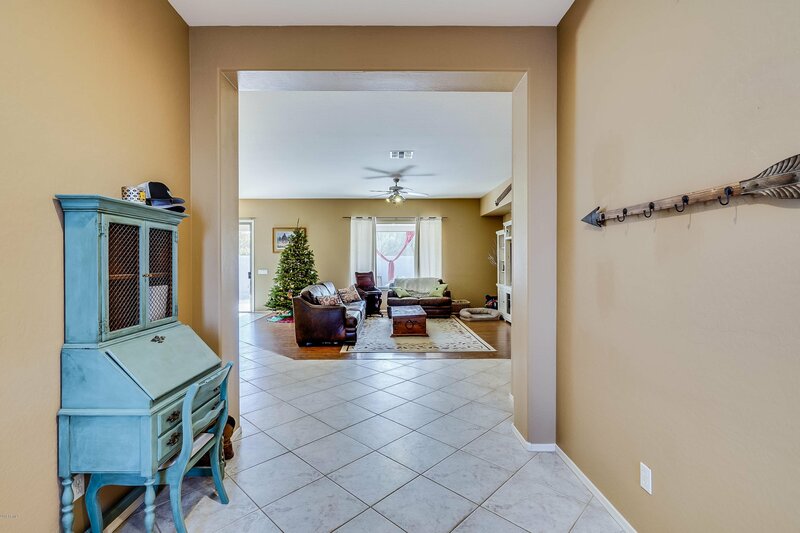 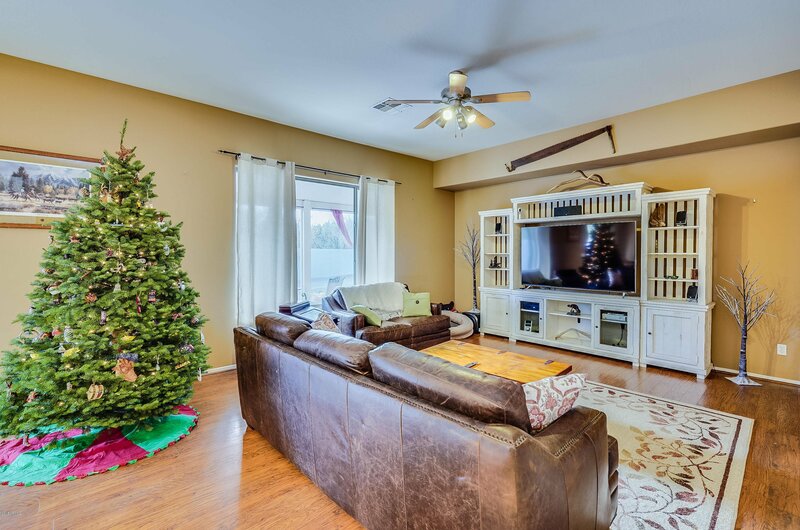 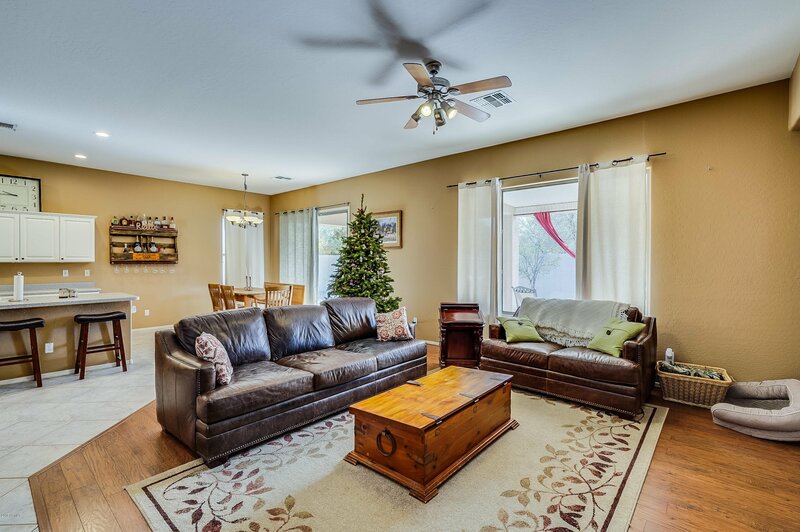 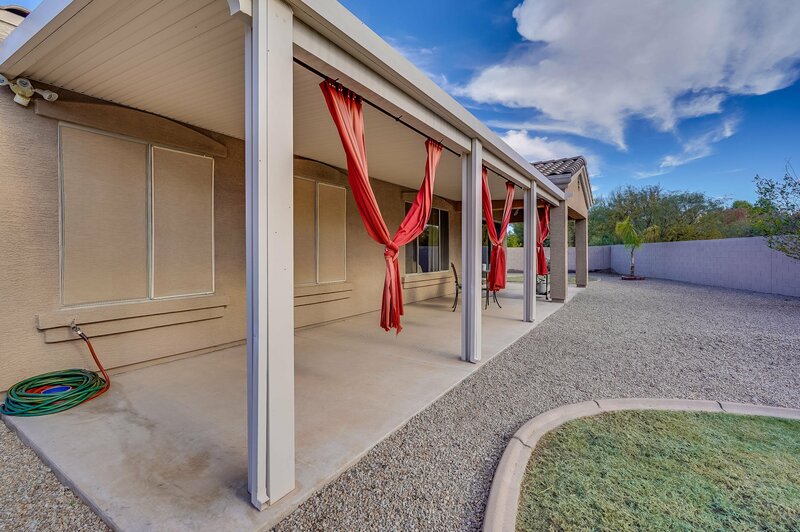 Beautiful home on premium, oversized lot with RV gate in Cooper Greens. 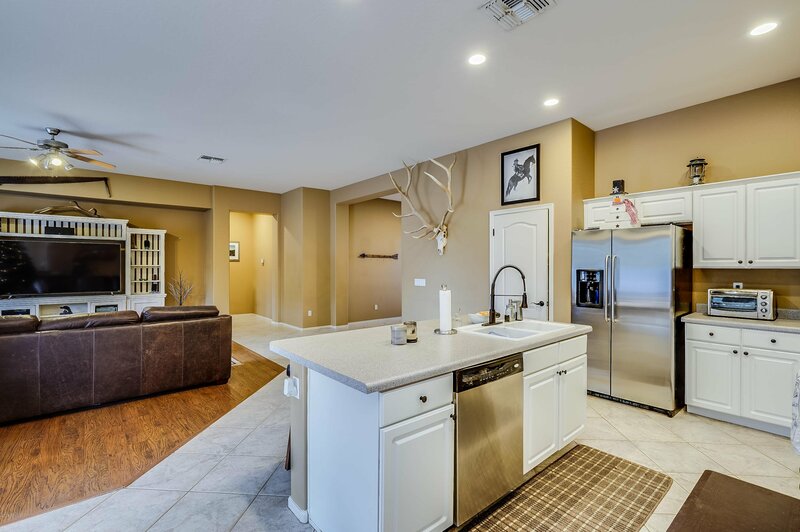 Greatroom floorplan offers spacious living space off of kitchen. 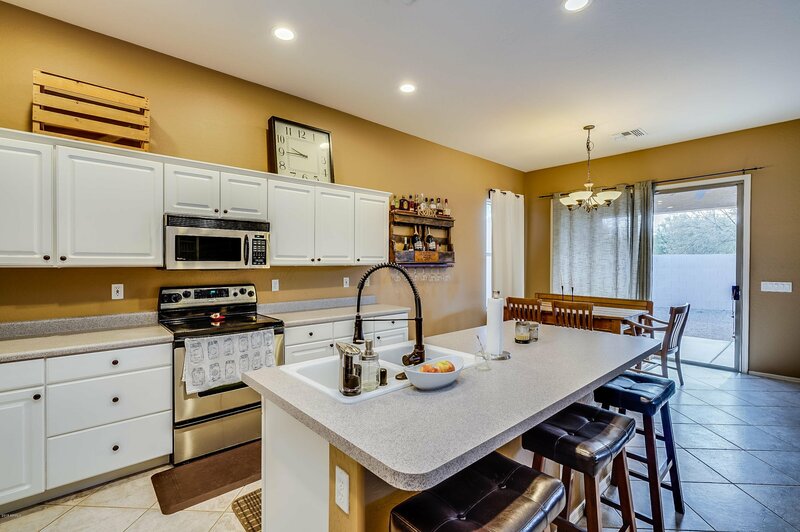 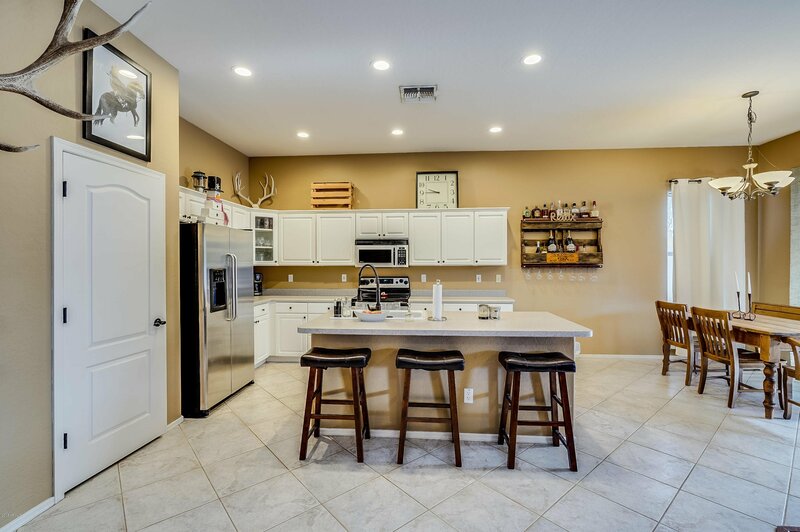 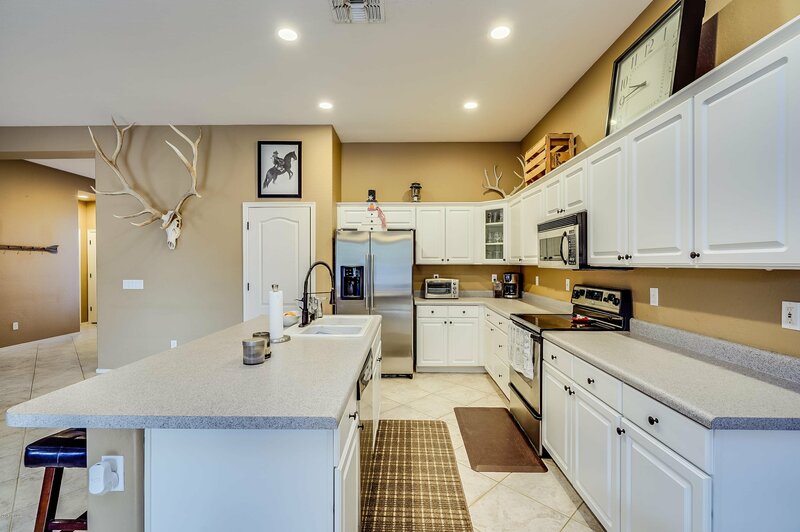 Kitchen features white cabinets, stainless steel appliances, pantry, breakfast bar plus breakfast nook. 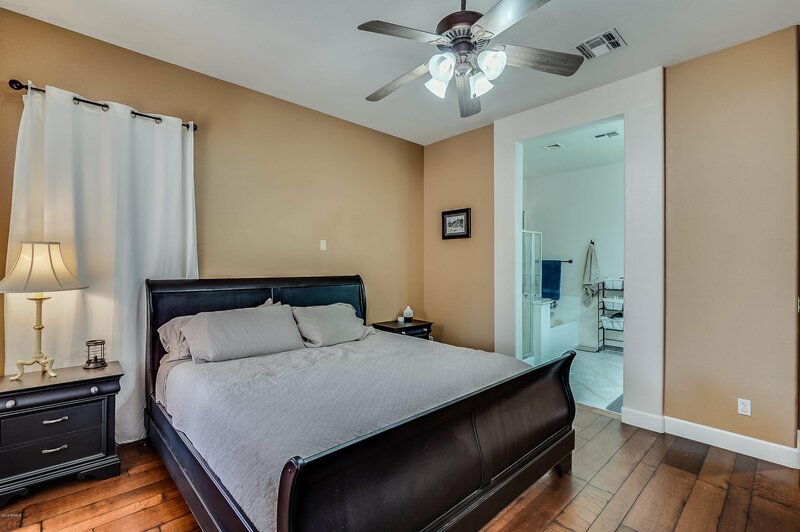 Hardwood floors in master bedroom plus upgraded baseboard. 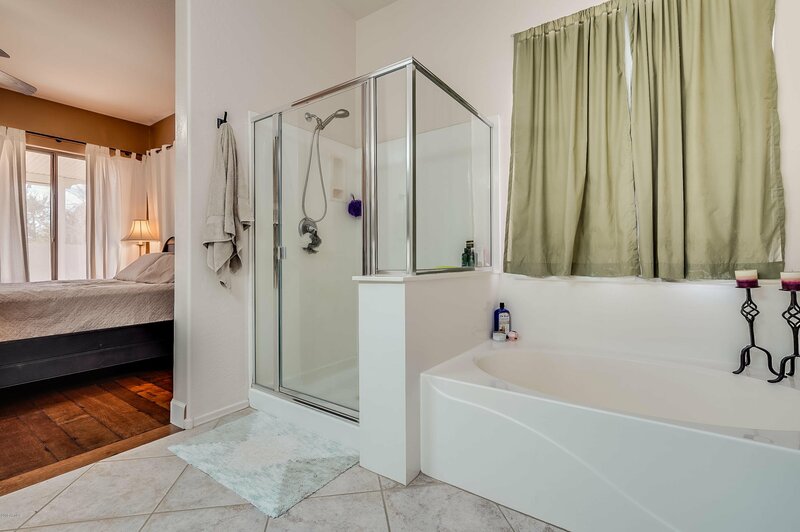 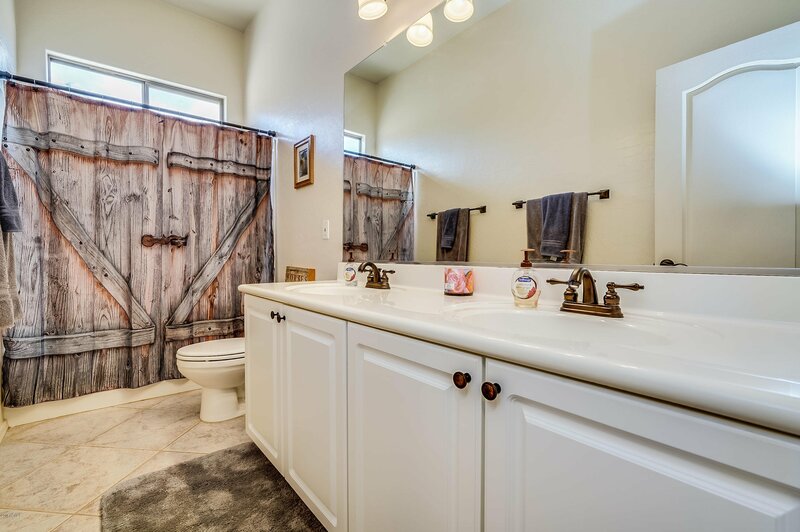 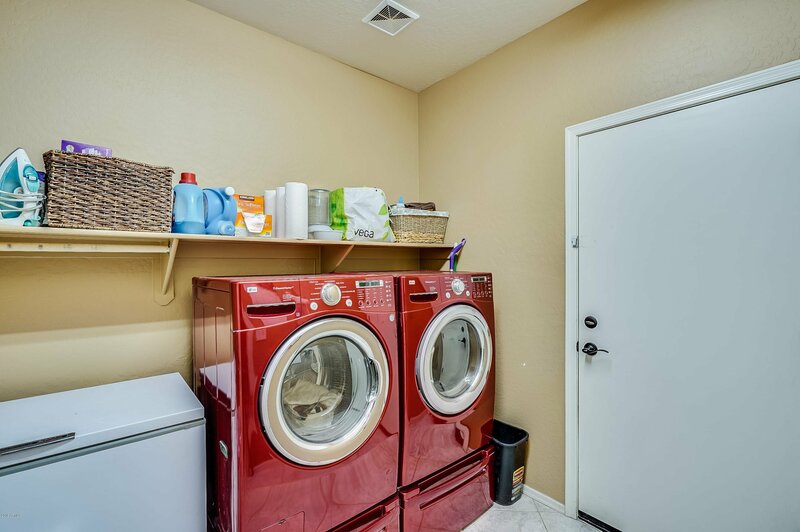 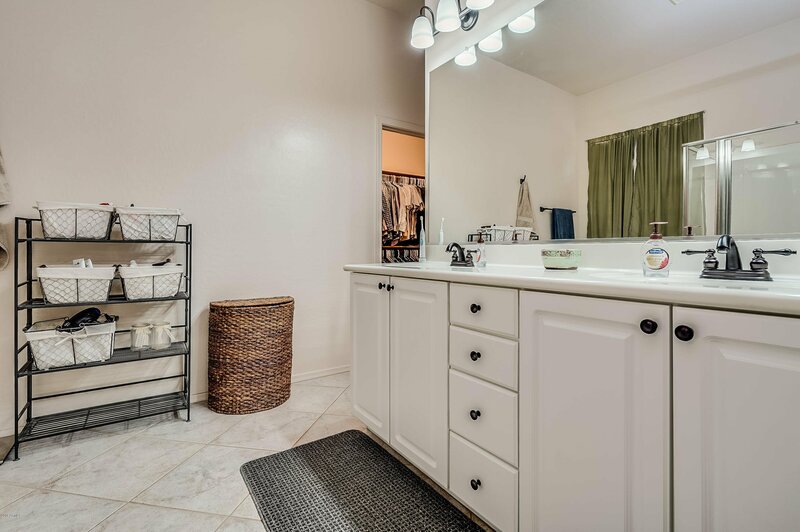 Master bath features double sinks, separate tub/shower & large walk-in closet. 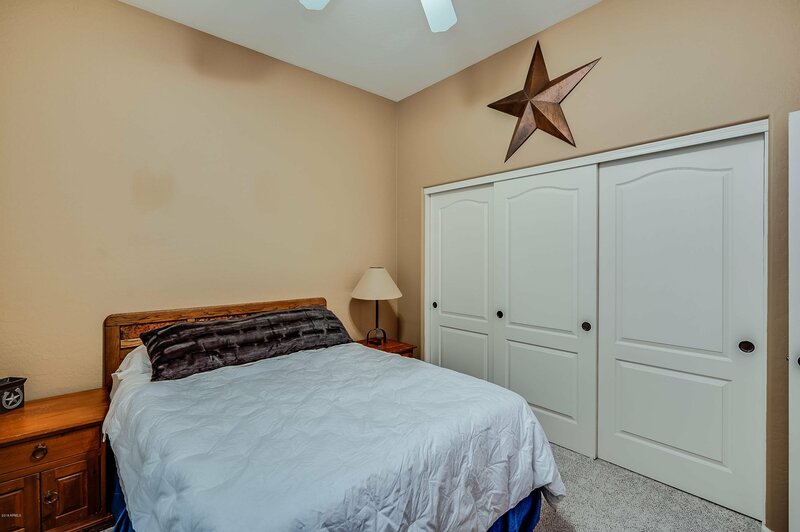 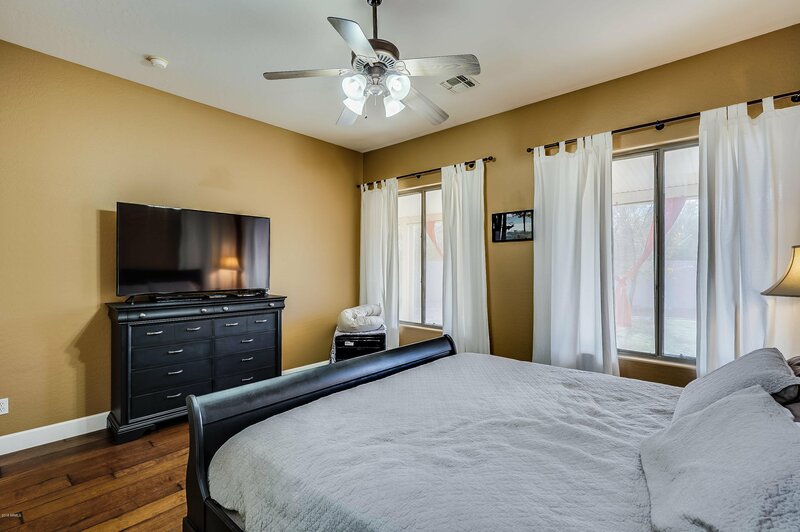 Secondary bedrooms split from master w/ newer carpet & second bath with double sinks. 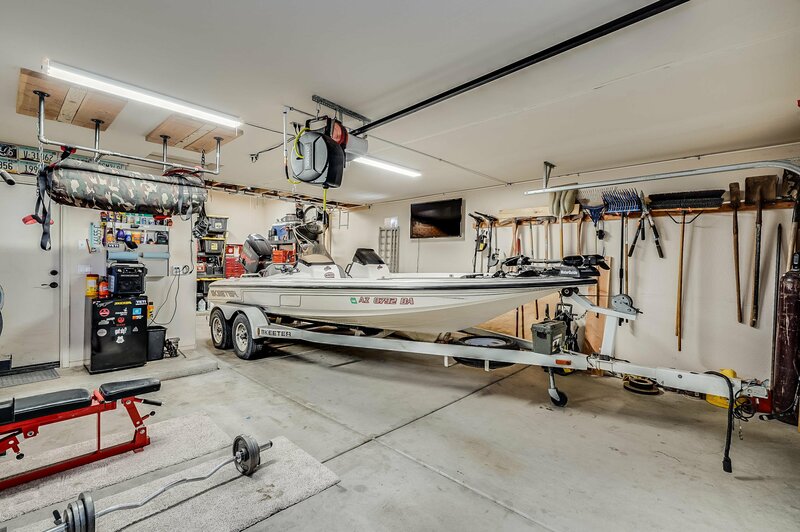 3 car tandem garage provides extra storage or room for extended length trucks, boats, etc. 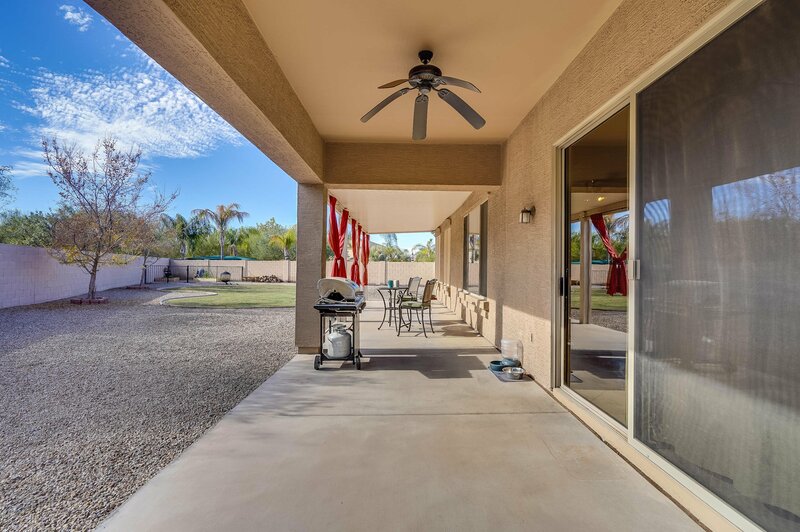 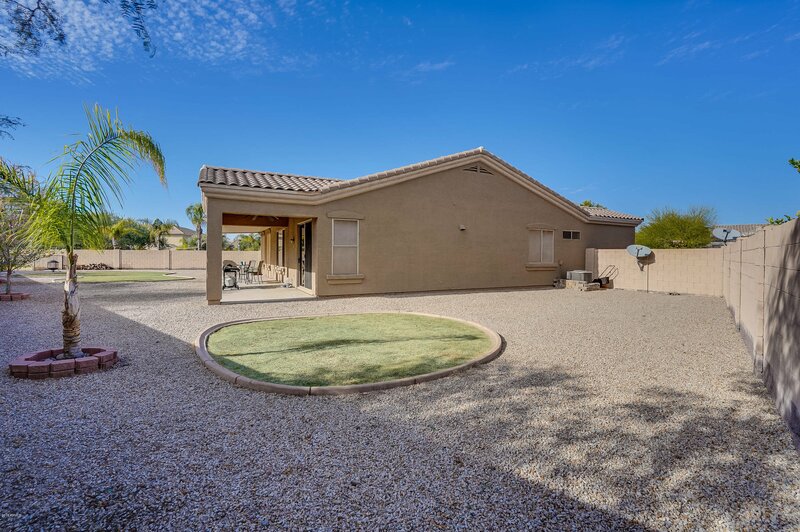 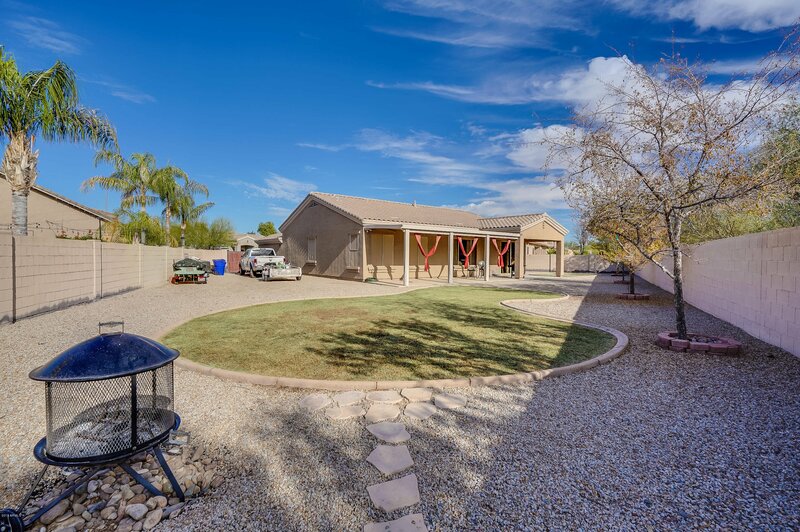 Backyard features large covered patio & spacious side yard with RV gate; allows storage of vehicles, trailers & toys that are below wall height. 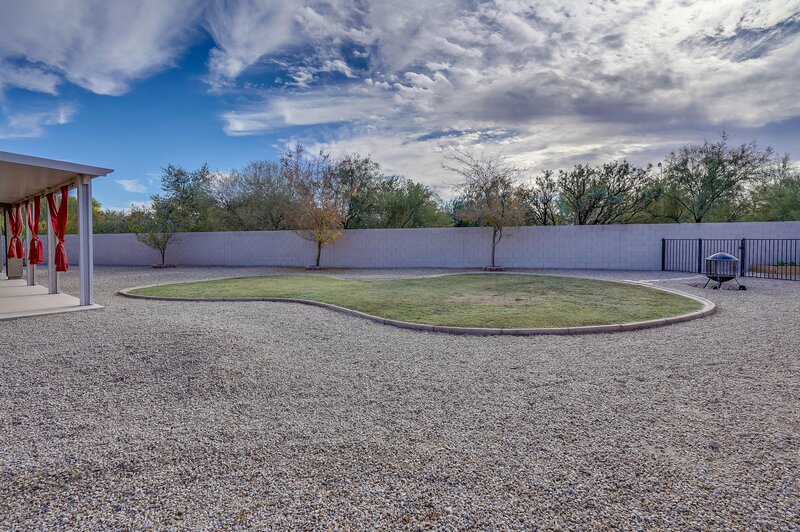 Landscaped yard w/ raised garden boxes included & plenty of room to add a pool and/or sport court. 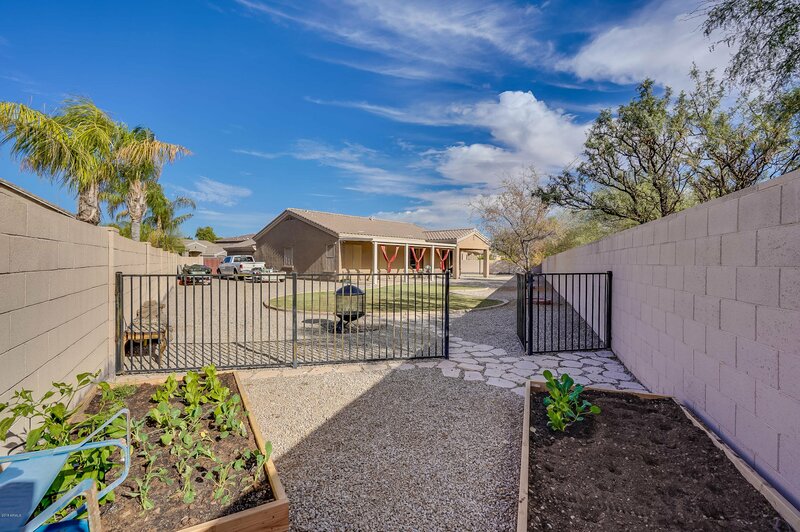 No homes behind! 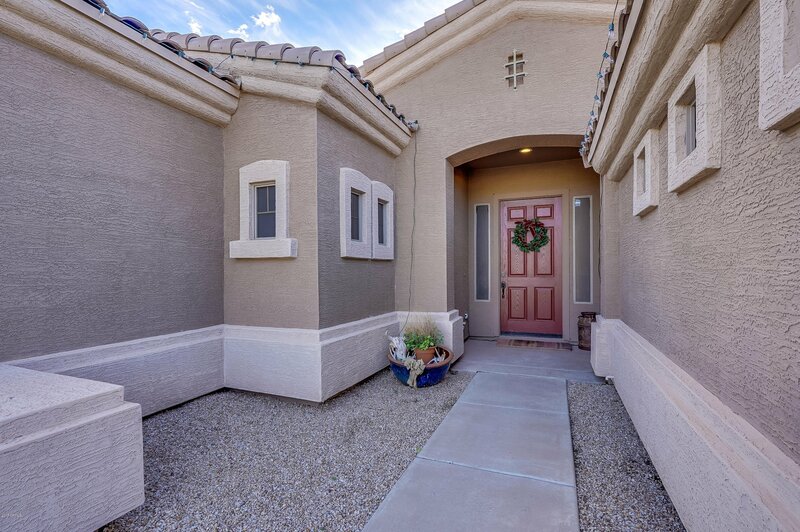 Less than 3 miles to the 202 and close to the Paseo Vista Recreation area and trails. 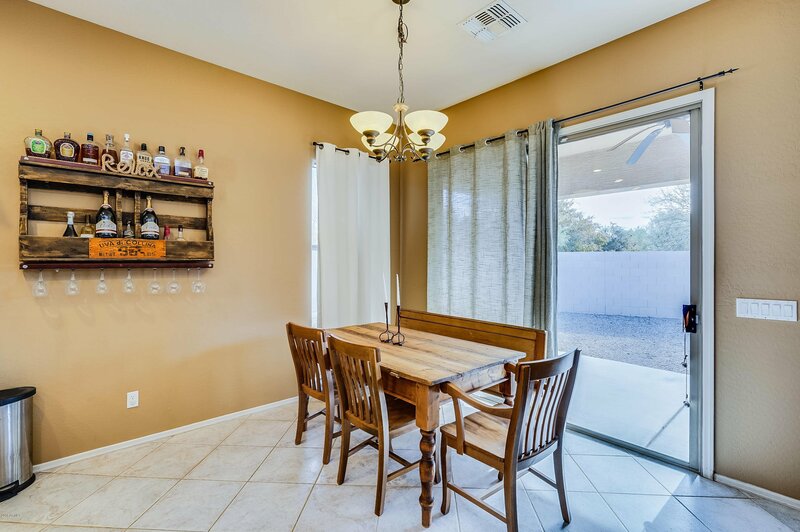 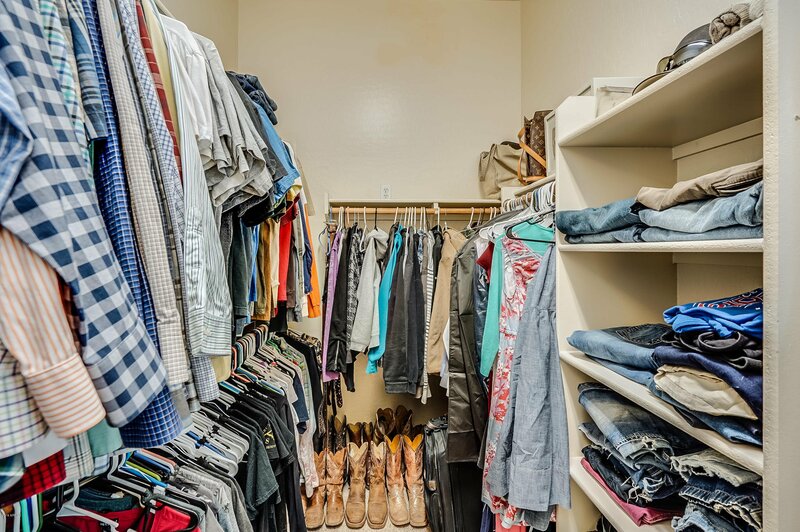 Approximately 5 miles to dining & shopping in downtown Chandler. 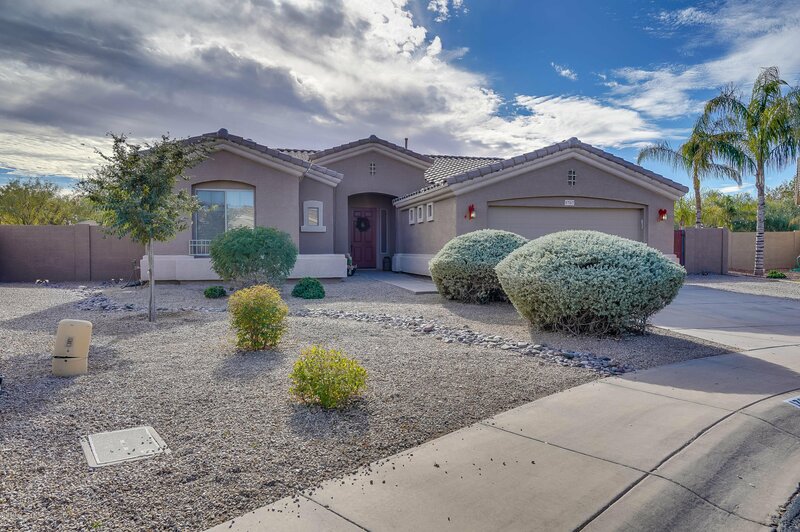 Listing courtesy of West USA Realty. 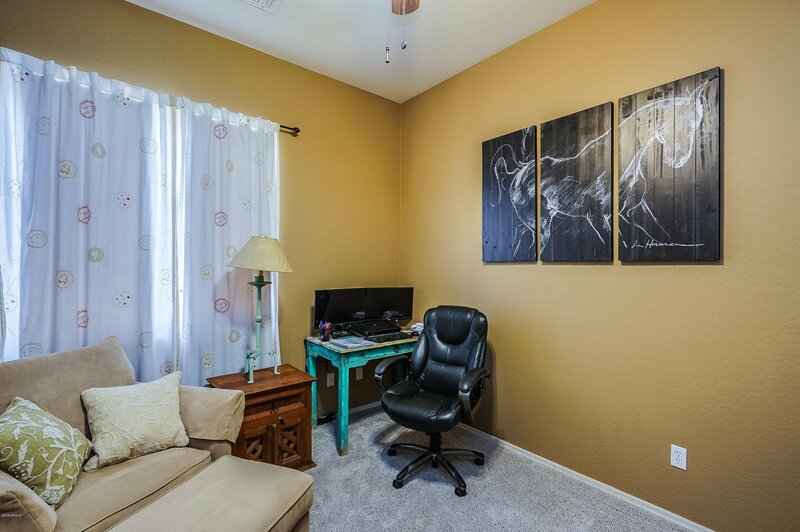 Selling Office: Revelation Real Estate.